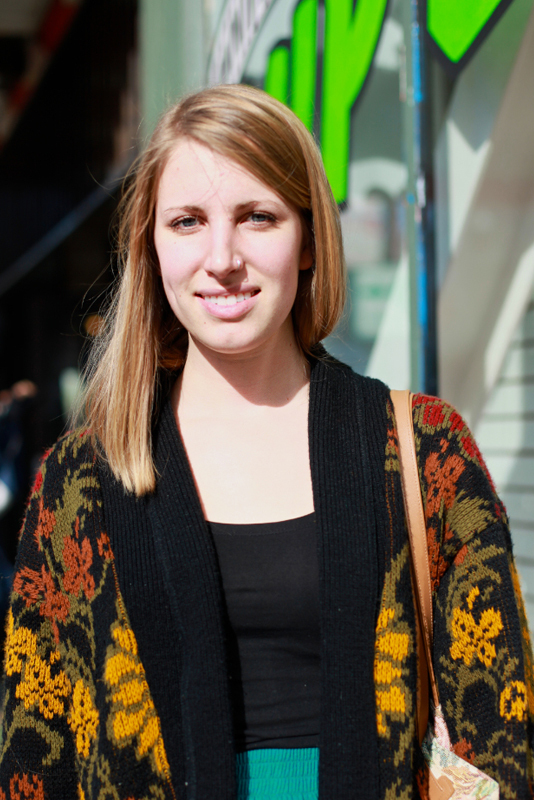 "Well I like minimal and monotone and these colors, but I also like flowers. Which can clash, but that's what brought this outfit together." I like the bright skirt and the patterned cardigan. The comfy sweater and miniskirt are perfect for the 60 degrees that is SF weather right now. 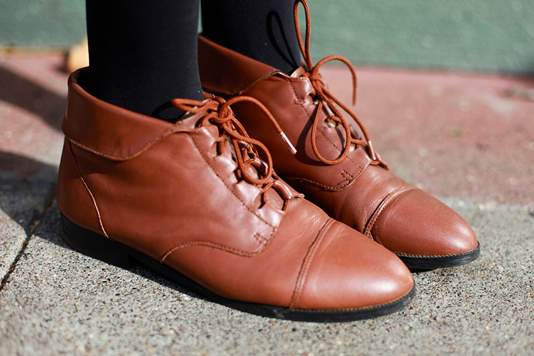 Elaine is rocking the brown booties with black tights.